Camden is the poorest and one of the most dangerous cities in America. In Camden, your chances of become a victim of a violent crime are about 1 in 49. Last year, about 40% of our students did not graduate high school. In the past five years, Camden is consistently ranked as one of the most dangerous cities in our nation. That’s why getting this story about these amazing kids beating these tragic odds is so important. They are the neediest students in the City of Camden, yet they are defying all the odds. Our program has experienced many setbacks: no money, everything had to be supplied by donations and grants, our original room which had sinks and gas hook ups had severe water damage and asbestos and was deemed unsafe for us to use. There is also an electrical panel that doesn't support the machinery we need for the cafe. In-spite of all this, we persevered and worked with what we had. We turned a classroom into a fully functioning cafe. Why is this Cafe Transition Program So Important? In 2017, only 18.7% of individuals with disabilities were employed according to the U.S Bureau of Labor Statistics. Our students need to develop the adaptive and functional skills to participate as productive citizens within the community. Our program intends to teach these kids the adaptive and functional skills to integrate into the larger community and to lead productive and fulfilling lives where they are contributing to society. • Develop skills so that they can function independently within the broader community. This program intends to teach the enrolled students the adaptive and functional skills they will need to integrate into the larger community and to lead productive and fulfilling lives as contributing members of society. Not to mention, the space will give our staff and community a comfortable place to relax and grab a cup of coffee or tea. The cafe is completely funded by grants and donations I sought out, it didn’t cost the local tax payer a penny. 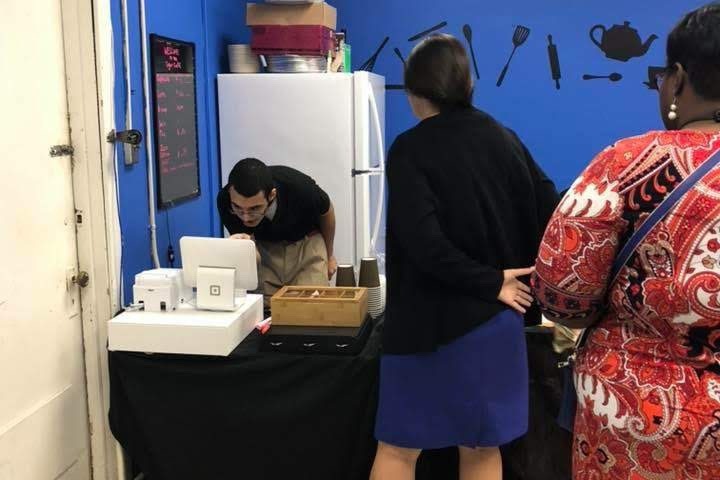 These students , who the rest of society has written off due to their disabilities are now preparing cappuccinos and lattes and running a fully functional cafe without a sink ( they use a portable camping sink). They are amazing kids. 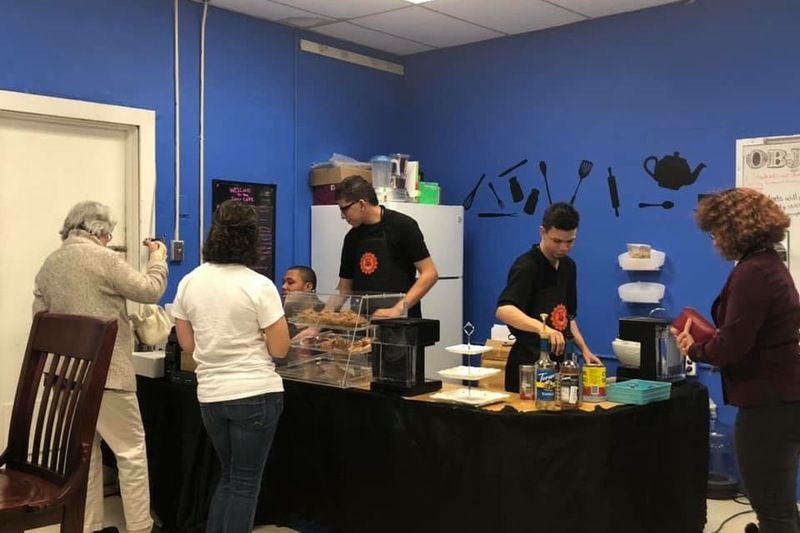 We would love to see our amazing students have a more appropriate space to be able to cook, provide laundry services and just have better facilities to run their cafe. .
We need the community's support in fixing the culinary room here at Woodrow Wilson or provide one at another location within the district. Due to water damage and asbestos removal, the cost is too high for the school to properly fix. We were given an estimate that the asbestos removal alone would cost $48,000 dollars. The kids need a fully functioning kitchen to continue to learn and grow. Right now, we are making due with a portable sink, which while it is getting the job done, it is far from ideal. The circuit breaker can handle the voltage generated by the coffee machines and trips constantly. With a fully functioning kitchen, the kids will bake treats and run a “Wilson Cafe” for staff. They will bake food for the staff to eat, clean, take orders, run the cash register, and set up this cafe for daily use. These are all skills that they will need to work and function in the community independently. The money generated from the Cafe will help support our classroom needs: community based instructional activities and buying fresh foods.